As the years go by, seabirds such as gannets get better at foraging. 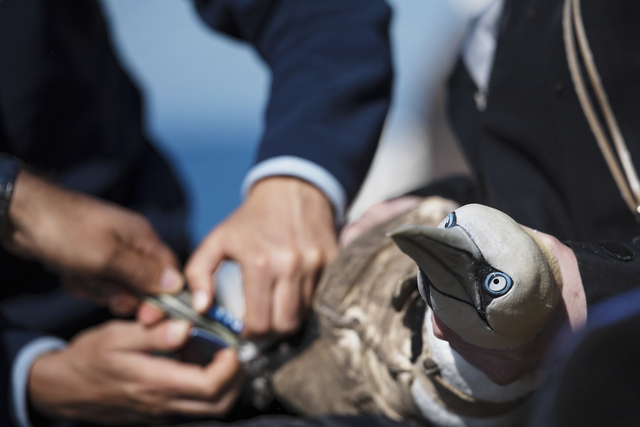 Scientists attach fitted colored rings to the legs of a gannet for identification. 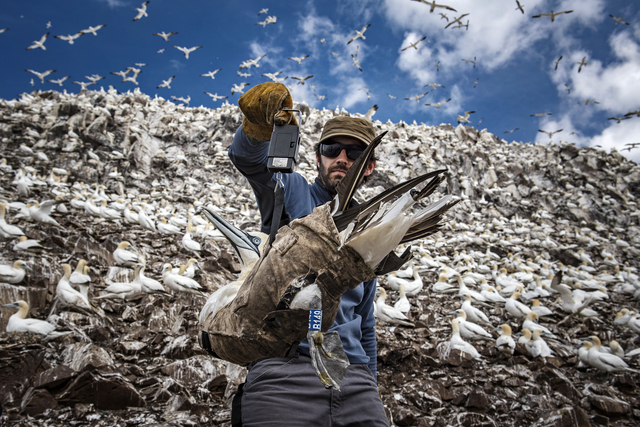 © SAM HOBSONAccording to recent research published June 6 in Interface, gannets (Morus bassanus), a type of seabird, improve their foraging skills as they age. Researchers used miniature GPS trackers attached to the birds to plot the foraging locations and behavior of gannets in the North Sea. While immature birds tended to cast their nets far and wide, adult gannets restricted themselves, repetitively hunting in specific areas where water bodies mingle. Called oceanographic fronts, these sites offer an abundance of food for marine creatures. 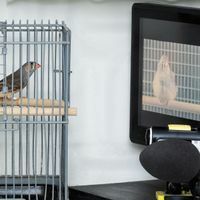 “The results of our study provide crucial information on how seabirds efficiently locate and exploit patchy food resources vital to their survival and long-term fitness,” Keith Hamer, a coauthor on the paper, says in a statement. W.J. Grecian et al., “Understanding the ontogeny of foraging behaviour: insights from combining marine predator bio-logging with satellite-derived oceanography in hidden Markov models,” J R Soc Interface, doi:10.1098/rsif.2018.0084, 2018.